A delectable dinner paired with the generosity of friends. The dinner consisted of homemade smoked trout rillettes, cheese (Bra and Gorgonzola Dolce) followed by fish pie of the Nigella Lawson Blakean Fish Pie variety with sauteed Lamb's Quarters and baby spinach, and then homemade almond cake with lemon curd and fresh fruit. - Domaine Huet 2009 Vouvray Le Haut-Lieu Sec. A perfect way to start the evening. 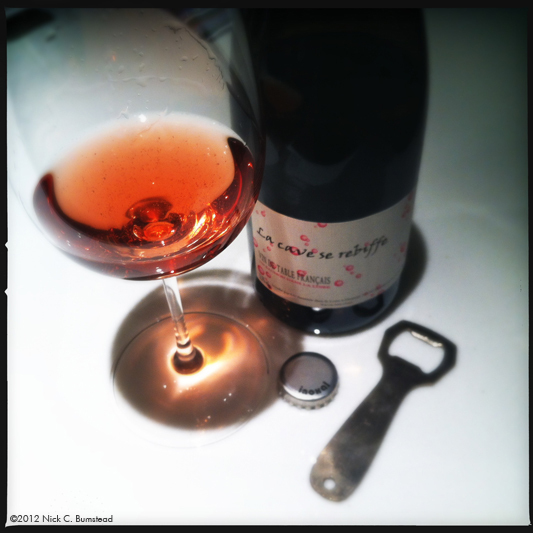 A sparkling rose made from Gamay from Montlouis with some Cot and Menu Pineau from Touraine. Lovely cranberry, raspberry fruit with balanced acidity. Paired just magnificently with the fish pie which was made from salmon, cod and rock shrimp with a saffron cream sauce under mashed potato. 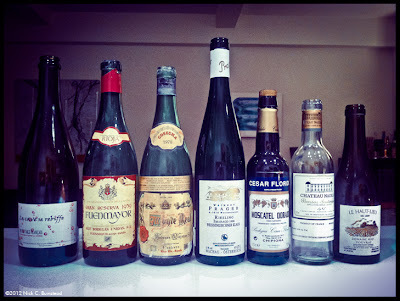 The exotic fruit, minerals and acidity all jumped with the pie. Brick colored and the nose started a little on the madeira side. But on the palate, this was a stunning wine with sweet fruit and a delicate feeling. The complete opposite of the Fuenmayor -- beefy, strong, structured and earthy with a delightful nose. Light colored with minerals, flowers, citrus and pear. Sweet, honey, tropical fruit, floral and a lovely companion to the almond cake. Most of the Moscatel grapes in Chipiona are sold to the larger houses, but Florido is only one of two bodegas producing Moscatel wines independent of the local co-op. My last of four bottles I bought in auction a while back and this one had held up well. Caramel, dried fruits, a little botrytis.